When it comes to scratch-building, kit-bashing and deep conversions it is often necessary to know a size of a base the finished model is supposed to be put on. 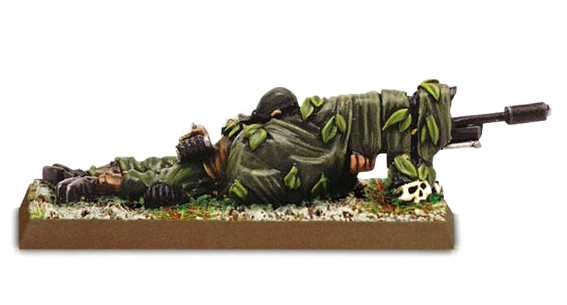 While it wasn't a big problem up to a while ago, many recent GW models use unusual (and often unique) bases. Thus I've had a feeling that some king of basing guide could be useful. Maybe some fellow hobbyists might find this helpful as well. So let's see what each base is used for. I'll update this post as new releases hit the shelves. Old Broodlord was sold on 40 mm round base while the one from Shield of Baal: Deathstorm used to be supplied with 75x46 mm oval base. Miniature in Deathwatch Overkill box comes with yet another variant - a 50mm round base. 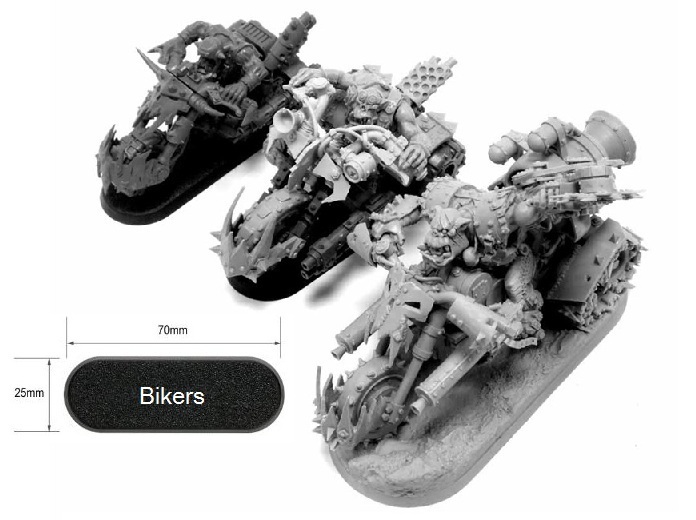 Plastic Seekers of Slaanesh box is supplied with biker bases, but the limited edition re-release of old metal miniatures was sold on 60x35mm ones. At the same time the plastic miniature can be seen on the 75x42 mm base on the "Sector Imperialis 60mm Round, 75mm Oval & 90mm Oval Bases" page on GW website. 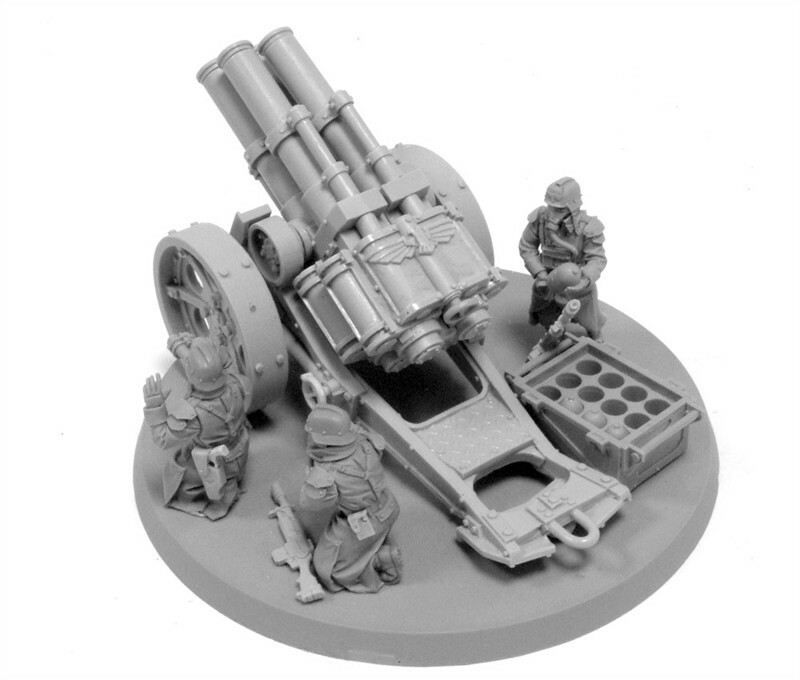 Some FW artillery like Krieg Quad Launcher is shown on a bigger round base that predates the introduction of the 80/100/130/160mm bases. This is most likely just for show. 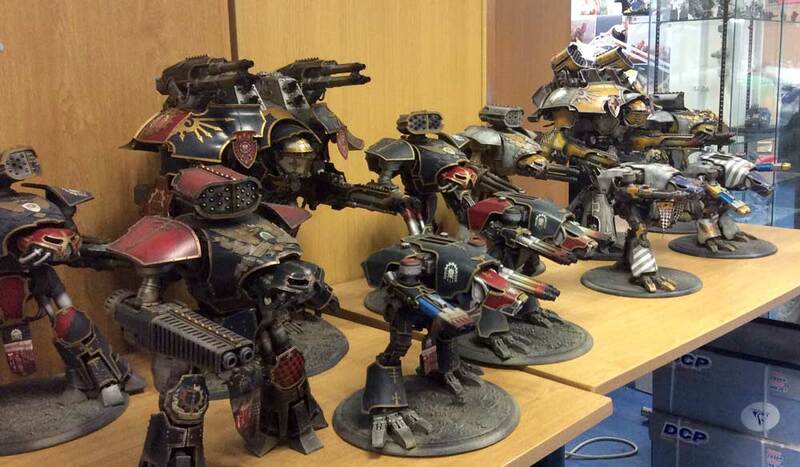 Many Titans, especially Eldar ones are often shown on some kind of custom base, mostly for stability purposes. The same goes for many super-heavy flyers - the usual flyer base can't really support the weight of this model and modelers are left to create their own bases. The list includes Marauder Bomber/Marauder Destroyer, Kharybdis Assault Claw, Thunderhawk gunship, Sokar pattern Stormbird, Tau Manta, Tiger Shark AX-1-0/AX-2-2 (OOP), Orca Dropship (OOP) and Tyranid Harridan. In the light of the above, the desire of some people to enforce very strict basing standards for 40k models seems even more ridiculous. In many cases in is left to the miniature owner to decide what base he wants to use. I, for one, put my Ork Nobs on 32mm bases and my Warboss in mega-armour is on 50mm one which seems perfectly fitting, given the Ork attitudes towards size and power. 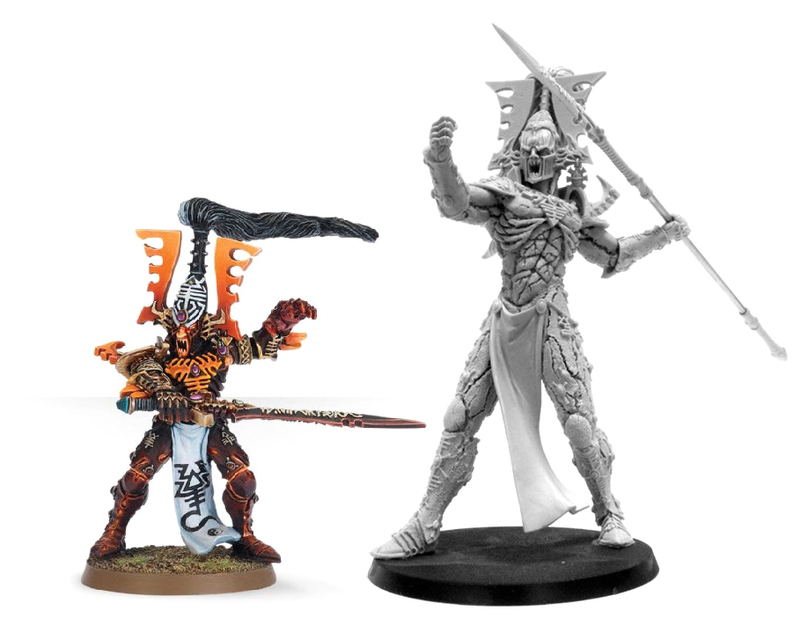 At the same time, I think that Assassins and Electro-Priests belong on smaller 25 mm bases, but at your workbench only your opinion matters - it's your models, after all. Hope this guile helps - I will add to it as new models get released or repackaged. And good hobbying to you all. This is a really useful post. Thanks! I'm going to share it on Pinterest to make sure I can find it later and build some exposure for it. That's nice of you. Glad you like it. Agree, this is a must share. Thanks for doing all this hard work and gathering all the information in one location! I was doing the same work, thanks for rescuing me! It's unbelievable that no one else has made a detailed list like yours. Right, I knew the first one, a silly mistake on my part. Somehow missed the Carnifex one though, I'll fix both in a bit. Thanks a lot, I appreciate your input! Excellent resource! Thank you for putting this together. Broodlord is stated to be on a 75X42 base on the preorder entry. Supposedly it's the same as a 75x46 one. The dimensions aren't as precise as they could be, given that GW bases widen towards the foundation. It' the same with other bases really - if you measure your standard 60mm base you'll find out it's not really 60mm in diameter, but that's how it's called. Hey just wanted to give a quick thanks, this had exactly the information I needed! Hi! Really useful reference! I'd like to point out there is an error in the XV8 Crisis Suit entry. Old Crisis uses 40mm, and new Crisis kits use 50mm. Not 50/60. Sure, new plastic ones are on 50mm, but resin XV81, XV84 and XV89 from Forgeworld are sold with 60mm, thus the inconsistency. I don't consider different base sizes between different iterations of a model to be a problem really, that happens all the time. Skyweavers come with 60mm Flying Bases, not the 32mm as listed. Broodlord has never been on a 50mm, you're likely thinking of The Patriarch. The Patriarch is a HQ unit for Genestealer Cult and has slightly different stats and psychic powers. My recent order of Tyrant Guard/Hive Guard came with 50mm bases. Most of infantry like Astartes now sold on 25mm bases. Tanks a lot for the post! Its very dificult find this information! Just wanted to thank you for making this and keeping it updated.